To what extent have you considered building links on your site? I have noticed some bloggers who teach that building out your site with tons of quality and engaging content will help you receive rankings fast in Google and several other search engines. Have you not been making mistakes so far? Do you actually think writing hundreds of articles can help you get noticed in search engines? Not at all! Content is helpful and, of course, instrumental to the ranking of your site though, you never can rely on writing content alone to receive search engine rankings. There was a time when I didn’t understand the concept of SEO and other ideas related to making money online. I was just gambling around, but couldn’t make a cent despite the commitment and all efforts put in. Sometimes, I would spend all night working round the clock, but wouldn’t still make money no matter how little. This continued for several years until I made up my mind never to get back to the internet. Shortly after making the decision, I kept thinking about it from time to time to get back hopefully, but hardly agreed to my feelings and passion not until I finally figured it out. Building links can be done in several ways, but you need to learn some tactics to make the most out of it. Despite all, you can build high quality links without spending a dime. Why must you build high quality links? Google counts much more on high quality links and considers giving your site a priority by improving your overall rankings in search results. What are high quality links and how can you generate such links quickly? High quality links are connections to your site from authoritative blogs. What are authoritative blogs? These are blogs that already have the highest Page Rank and are most trusted by Google and other major search engines. Blog Commenting: How does this sound to you? Do you know that the best way to get high quality links to your site is to comment on authoritative blogs as mentioned below? Blog commenting can be leveraged this way by offering quality and relevant comments. Your comments will be rated high by search engines if you put quality in mind. Posting Regularly: Publishing frequency plays a vital role in getting quality links to your site if you write quality and engaging content. Your content must be unique and keyword-researched. Plagiarized or spun content will do nothing but frustrate your success. Site Engagement: Do you know how to engage your target audience at all? I have seen people who love socializing at the expense of site engagement. You must put in much more effort while engaging your audience at site than at social media, though social media will play its ranking role too. Guest Blogging: What do you understand about guest blogging? Do you realize that a one-time guest post can generate you hundreds of thousands of views and quality links back to your site in a few weeks and can make you hundreds of dollars in lifetime? Content Marketing: From a recent search of over 1 million articles, content was found to be the overall second ranking factor out of the Google’s 200 ranking factors while link is the first factor. As you will be working on the first ranking factor which is link building, creating quality and engaging content will become opening doors to unlimited traffic opportunities. The best way to make guest posts is through email outreach. You will be leveraging the Hunter tool which is absolutely great for reaching out to large and small blogs. Through this tool, you will be getting all email addresses associated to a specific blog and can go ahead writing an email script to request a guest post to a chosen or specific blog. Are you planning to start building backlinks for your site now? Are you passionate about moving your site to the next level within a few weeks? Do you want to start making money from your blog in earnest? Learn from authoritative bloggers who have got the experience and are in the best position to teach and put you through right away. If you are ready to learn strategies to link building the best way, then you need to comment on authoritative bloggers’ sites. When you post comments regularly to such sites, you will automatically start generating backlinks soonest and will receive first page rankings in Google in due time. Comment on authoritative bloggers’ blogs on a daily basis instead of the normal 2-3 times weekly: To achieve maximum results, be consistent in posting quality comments. The result you will be getting from this will be so amazing. Post relevant comments at all times: Your comments must be 100% relevant to the topic of the post on which you are commenting. This must be duly noted if you really want to leverage blog commenting for building high quality links for your blog in earnest. Your blog comments must be at least 50 words long: While commenting on other people’s blogs, write up to 50 words or greater and split all of your comments to 3-4 paragraphs. This assigns quality to your comments and that is how you automatically generate backlinks from authoritative bloggers’ blogs. Search and comment on niche-related blogs only: Do you want to sit back and watch Google and other major search engines skyrocket your blog to the first page rank? Search for niche specific blogs using the Google search tool and post quality comments. This is the best way to get high quality links. Do you want to get severely penalized by Google? Comment on sites that are not related to your niche. The links that come through your comments this way are categorized as low quality links and are subjected to severe penalty/punishment by Google. Use the CommentLuv WordPress plugin on your blog: Using the CommentLuv WordPress plugin on your site will increase the number of comments and the extent of audience engagement on your site and this ensures a steady flow of backlinks at geometrical rates. Most people wouldn’t want to leave comments on your site when they realize that they won’t be getting any SEO or social engagement benefit from them. That is where the CommentLuv WordPress plugin will be making a difference for your SEO activities. The best way to get traffic on your website is through link building. In this post, the basic strategies to start building links for your blog have been blended. Content is very crucial for the fact that it unlocks the doors to regular and unlimited visits, but cannot handle website ranking all alone. Asking people to leave comments on your site and providing answers to all of their problems on time will go a long way in driving massive traffic to your site. While building out your site with content, you wouldn’t forget that the basic goal is to help and provide solutions to other people’s problems. When your audience find solutions at your site regularly, they will always visit and do one thing or the other at your site. That is a simple strategy to building a virtual real estate in earnest. Social engagement will play its vital role in the ranking of your site as initially mentioned in this post, though must not be over-utilized at the expense of site engagement. Google counts on the social value generated on your site due to social sharing and engagement. I do share content and tips with fans, groups and friends on social media like Facebook, Google+, Twitter, LinkedIn and Pinterest. I have definitely seen the social dividends in using these platforms from time to time. Once you have worked fervently on link building, it’s high time you started making money. Your opportunities to make money from a ranked website are unlimited. Once Google begins to trust your brand, your chances of appearing on first pages increase day-in day-out. Making money online becomes easy if you can learn and master all these strategies but becomes so hard if you are not acquainted with them. If you want to start your journey to online wealth today, you wouldn’t ever want to get rich overnight. You will sit back and learn specific tips focusing on SEO and other relevant ideas on money making. Affiliate Program: Once you have begun driving tons of traffic to your blog, it becomes a steady stream of unlimited income and there’s no limit to the flow of revenue you can generate through your site daily, weekly, monthly and yearly. Start promoting reputable affiliate products like Amazon digital products and lots more. Content Management System: Share revenue with the content management sites through content writing and sharing. Promote Self Products: If you have self products that you wish to promote, don’t hesitate placing them on your blog to leverage its traffic potential towards making money. Having learned the strategies to building backlinks and generating tons of traffic on your site, you’ve figured out the best way to make money online and are in the best position to help other people do the same. If you have any question or, perhaps, just want to make some inquiries on link building, don’t hesitate leaving out a comment below and I will be more than happy to reply you as soon as possible. If you need a massive list of 1200+ top and authoritative bloggers’ blogs that you can use for blog commenting, let me know by leaving a comment below and subscribing to our newsletters through the form at the right sidebar and I will be happy to get back to you in due time with the list together with other SEO useful tips. If you find this post helpful, share it with friends, groups, fans and communities using the Social Media buttons below and we’ll be grateful. We truly care about you and your financial success. Very interesting… I have a small website and I did not know any of this. This is very encouraging and very informative to the newbie blogger like myself. Like many others I just thought it was all about great content and trying to drive traffic, but searching out the top bloggers in your niche certainly makes a lot of sense!! Thanks for dropping by, Frances! Kudos for finding my blog post very informative, interesting and insightful! Much appreciated! Both newbie and veteran bloggers need to update blogging strategies in order to rank well in search engines. Working the right techniques with the right energy, investing time, commitment and little spending will surely help you move your blogging game to the next level. It’s important that you build out your site based on the Google top ranking signals which are links, content and RankBrain. Content is vital and effective alongside building high quality backlinks if written up to standards. Building bonds with top bloggers will also bring about higher blogging profits with time. Thanks for visiting! Thanks so much Israel for writing this article! 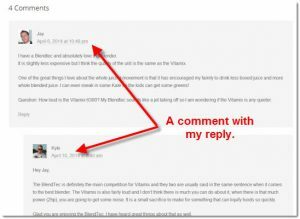 It has helped me to understand better why commenting on other blogs is important if I want to write a blog. I never thought about the benefits of taking time to read a blog and leave a comment. It’s always good to learn more and from now on I will take my time to leave a relevant comment. You said it should be from 2 to 3 times per week, for how many weeks should I comment on a blog? Thanks for stopping by and leaving a valuable thought, Alejandra! Kudos for reading my blog post! Much appreciated! Having known the efficacy of leaving genuine and authentic comments on other people’s related blogs, implement all working strategies and get your business at the front. It’s great to leave comments on authority blogs 2-3 times a week while you build out your site persistently with quality and helpful content alongside. You continue implementing working strategies while you watch your earnings grow from day to day. Thanks for visiting! I started a blog but have never focused on building back-links. I have seen the word back-links but never understood much about it. I can’t express how glad I am to have come across your article today. I have a question, when I comment on someone’s site, do I need to include my website in the comments to build back-links? How will Google know that the comment is linked to my website? Thanks for stopping by and reading my blog post, Sheree! Kudos for finding my post insightful! Much appreciated! Links are an extremely crucial ranking signal in SEO and can help you get a first page ranking in SERPs on time if you learn and implement working strategies. When you comment on a blog which must be a niche related blog, you simply put a web address that links to one of your pages through the comment form. If the blogs you are commenting on do allow “Dofollow” links, you get high quality backlinks and if not, you get referral traffic back to your site. Thanks for visiting! To attract hundreds of thousands of readers to your blog within a week, consider reading the post below. Israel, I appreciate your willingness to share, and your tips are spot on. I wasn’t aware that backlinks still have a major impact on ranking. That just goes to show you how misinformation can lead us down the wrong road! I remember reading that social sharing is far more effective than backlinks, but that never seemed right. I’ve always known that sharing is important from an SEO perspective, but on the other hand, great content that deserves to be shared is more important in the long run. Today’s SEO and backlinking have come full circle from the days when keyword stuffing and garbage content ruled the day. I so appreciate Google taking measures to clean up the SERPS and allow committed and dedicated online entrepreneurs to create an Internet full of good and meaningful information. Thanks for leaving a thought, Thomas! Yeah, I feel for a lot of newbie bloggers out there who will blog for the next couple of months without getting any result. Getting a first page ranking these days is no longer as easy as before due to frequent changes in Google’s search algorithm. The most important reason people are not getting appreciable traffic from social media is that they don’t master one first before using the other. They want to leverage all social media simultaneously thinking that’s the way to get social media traffic. Google frequently changes its search algorithm. It’s important to keep yourself up to date lest you miss out on the most crucial ranking signals. This blog will continue to publish Google ranking updates from time to time. Thanks for visiting! If you would make further inquiries, don’t hesitate getting back to me and I’ll be more than happy to reply you in earnest. Thanks for these tips on getting backlinks! I am going to try this in my niche to see what kind of difference it can make. Right now, I am guilty of commenting too much on sites that are outside of my niche because I didn’t know it could hurt your Google ranking. I’m going to change that now. Also thanks for supplying the Hunter link. I haven’t heard about it before. Thanks for reading my blog post, DrDoug! Kudos for visiting my blog! Much appreciated! Backlinks are an extremely crucial ranking signal among others. Building your business on Google top ranking signals is the way out to online success. Links and content are the two most crucial Google top ranking signals and working on these will help you succeed in your online entrepreneurial journey. Commenting on unrelated niche blogs will lead to generating low quality backlinks and this could lead to serious penalty in the hands of Google and other major search engines. Thanks for visiting! This is completely new to me, no wonder I am ranked beyond page nine always and to think I have invested a lot on quality content. Anyway I think I will put some serious effort into ranking my website though this creating back links techniques might be a life saver to have my website ranked better that it is right now. I am really finding this recent series of posts eye-opening. Thanks for sharing all of this information! I have been struggling to get my content ranked for a couple of months now (I just started about 3 months ago), but these ideas are really strategic and promising! I will need to install the plugin you recommended. I never know that blog commenting was part of link building strategies until I came across your post. Recently, I received a lot of “Trackback” comments on my post, do you think that they are spam? How do I handle them? Thank you for recommending the CommentLuv WordPress plugin that I wish I can increase comments and engagement on my site. Thanks for getting back with a valuable comment, Shui! Kudos for reading my post and finding it informative and helpful! Blog commenting is part of back-linking strategies as links are the most crucial skill when it comes to SEO. Search engines ranked sites based on content quality, content variety and publishing frequency alone while Google took over ranking of sites with effect from 1998 and based ranking on 200 factors of which links are the most important skill. When people make comments on your blog and they leave their website addresses in the comment web address field, they are not regarded as spammers unless they leave poops in comments for you. Thanks for visiting, Shui! Thank you for another great read on “How To Build Backlinks For SEO”! This post was excellent and lived up to what I expect from you. Cheers! Thanks a lot for visiting, Andrew! Much appreciated! A lot of people out there are making a hell of blogging mistakes writing content without bothering to build links. Some bloggers are not even conscious of the fact that despite all the write-ups, traffic still remains zero. I have published several posts showcasing the need to start building links alongside creating quality and engaging content for those who would be willing to move their sites up to the first page soonest. Wish you lots of breakthroughs, friend! Finally, I knew how to build high PR backlinks for my beautiful website which is for better health. Thanks for contributing your token, Uddeshya! You will do well by learning great ways to build high quality links alongside building out your blog with quality, helpful, creative, informative and engaging content. There are certain techniques that make building white hat links work out effectively, but a lot of struggling veteran bloggers do skip these techniques at the expense of site development. Read through the posts below and improve your site rankings in search results. A very interesting post! I know posting quality comments definitely helps, but the benefit is not from getting backlinks since they’re no-follow. The benefits are more like getting connections with authority marketers, bloggers, website owners. These connections can help in the long run. Anyway, I believe Google has been shifting its focus away from backlinks a bit despite that it is still an indicator of page/website authority. I think our focus should be on publishing quality content. What do you think? Thanks for contributing your own quotas to the progress of this discussion, Jerry! 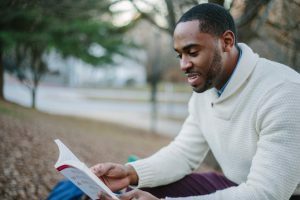 I heard you mention in your last thought that blog comments cannot be used to generate backlinks claiming that they are “no-follow”, and can only be used to get connections with authority bloggers. This is not so, Jerry. You generate backlinks from dofollow blog comments based on the law of reciprocity in blogging. These are blog comments you leave at sites whereby the CommentLuv plugin is installed and activated and that’s what we are operating in the community here. That’s what I have at Online Business Publications too. How do you identify a site that uses the CommentLuv plugin before leaving your comment? A CommentLuv plugin enabled site is such that gives you at least the SEO and/or social sharing benefit/link back to your own blog after leaving a comment. Your blog is CommentLuv enabled if there’s a field through which your commenters can fill out their website address or link in order to get SEO benefits back to their sites. Google never shifted its focus away from backlinks, not at all! Be informed that, in the hierarchy of Google’s 200 ranking factors, links are the most important skill and this is followed by content. The only problem is that some bloggers abuse it and get slapped for doing so. If you need further clarifications on building white hat links for SEO the right way, don’t hesitate leaving a comment and I would be more than happy to reply you in earnest. Great post on the power of backlinks and how to drive more traffic to a website! I’ve only recently learned about backlinks and what they can do to help you gain traffic and authority in your niche. If you don’t mind my asking, how much time do you devote to building out backlinks? I am pressed for time to get 2 blog posts up per week and am looking at any way that will work to help drive traffic to my website. I love my site and believe there is a lot of great content, just need to figure out how to get more eyes on it. Thanks for leaving a valuable thought Mat A! Yes, when you see a blog post talk about link building in the right direction, it’s worth reading. Why must you read? Links are the all-important SEO technique for building trust and increasing site traffic. There is no specific amount of time anyone can predict for link building but the truth is that how you want to move up in search results depends on you and the amount of time you would be willing to devote to it. You have your time in your control and can leverage that in building an online empire for yourself. Literally, you wouldn’t be expected to write articles daily but you must maintain a 100% publishing frequency as this would be part of the ranking factors. While building out your site with quality and helpful content, ensure you do this while engaging your visitors. You might want to check out on some of our latest posts to learn further about building site trust and strategizing blogging outreach campaigns through the links below. Most importantly, try and check out on one of the latest posts on Ryan’s blog through the link below. Congratulations on starting your own brand, Attila! You have taken the wisest step by deciding to create your own online business (Your own Virtual Real Estate). Many people out there couldn’t do what you’ve just achieved online due to fear of failures, common challenges, negative thoughts and all of that. The tips about building high quality backlinks are the highest in the Google’s hierarchy of ranking factors followed by content creation. In order to make things work out on time, you would want to try out up 2 or 3 top ranking factors. Within 2 months of being persistent in building links, writing quality and helpful content while engaging visitors, your site trust must boom and you will be glad at the results you get. We regard you as a valued visitor and would love to invite you checking out some of the most recent posts on this blog that will give you the total insight into building high quality backlinks. Do your guest posts have more weight on niche specific blogs than on non-specific niche blogs? I have a blog on a fitness related niche site but I want to guest post on a finance blog. Should I only guest post on other fitness related blogs to get high quality backlinks? Thanks for your comment, Jessie Palaypay! You are really working towards building a rocking blog by finding out tips that could help you generate high quality backlinks. Be rest assured that you will build your blog on sold, proven blogging fundamentals if you can subscribe through our email subscription form and constantly check out for our latest fantastic posts. Have you heard about the law of reciprocity in blogging? Has it really worked for you at one time or the other? Be informed that the law of reciprocity automatically works out if and only if you can work as a passionate blogger, trying to help others in all respect. Guest posting on niche specific blogs will automatically increase the ranking speed of your site and will do your site a lot of good. This is how you simply generate high quality backlinks. Don’t get slapped by the search engines for building low quality links. It’s a taboo and has adverse implications on your site trust. Don’t blog for fun, but for success. Low quality links are those you generate from non-specific niche blogs. We regard you as a valued visitor and would love to invite you to read our most recent posts below. I just started blogging last month and I get excited every time I see a site giving me tips on how to improve on my ranking. I didn’t know that commenting on other related Niche sites could be good for my ranking! I need to understand how CommentLuv works. How will the people commenting on my site know whether I have it or not? I really need to do more research on back-linking as well and will need to come back to your site. But since I’m here, I should as well ask, how do you get started with back-linking? Is there a process? And what do you mean by high quality links? Congratulations on starting up your own blog through the Wealthy Affiliate network! Be rest assured that if you can decide to learn further and are ready to get tips from top bloggers, you will be amazed at your quick success. There are big secrets to what you need to know to make Google and other search engines skyrocket your newly set up blog to first page rankings in no time. Not only that blog commenting is good for your ranking, but it’s one of the most crucial skills in the hierarchy of Google’s 200 ranking factors that will help you build high quality backlinks quickly while creating quality and engaging content. If you set up your WordPress blog through Wealthy Affiliate, I am pleased to inform you that you already have the WordPress CommentLuv plugin automatically installed and activated for your blog. A WordPress CommentLuv plugin simply gives your blog commenters access to a field within your site comment form to enter their own blog address which in turn assigns SEO and social engagement benefits back to their sites. It further encourages visitors to leave comments after reading through your post knowing that they will have SEO benefits to gain in return. Esther, as you’re eager to start moving your blog to the next level, know that back-linking is the Google’s first ranking factor and Google itself has recently confirmed this. From a research of over 1 million articles in 2017, it was found that over 70% of sites that got first page rankings built high quality links. Flee from using auto-generated backlinks to avoid getting punished by Google. Comment on top bloggers’ blogs, guest-post, engage your target audience and read the blog posts below to learn more about getting high quality backlinks. For details about link building for SEO and for ensuring that you get our latest blog posts, I highly recommend that you read the blog posts below and subscribe through our email subscription form placed on the right sidebar. I totally struggled with the backlinks and how it all works. For me, this was highly informative. As we know, some say its relevant and some say it isn’t. I think if used in the right way as you have explained, it is quite an important factor. I am happy I came across this blog and it’s something I shall keep reverting back to. Until it sinks in properly, I will be looking forward to taking more time to read your pages/posts and hopefully expand my business to its fuller potential. Thanks for reading! Enough is enough to struggling with backlinks once you can digest and practice all that you have read from this post. Be rest assured that you will be getting details on building high quality links for SEO if you can remember to subscribe through our email subscription form placed on the right sidebar. Without making any reference to what people have been saying so far about back-linking for SEO, know that a research of over 1 million articles was conducted in 2017, and it was found that quite more than 70% of the sites that got top rankings made use of backlinks. Google too disclosed this recently that out of its top three ranking factors, Links are the most important skill and the first factor in the hierarchy. As you have determined to read and digest those tips about link building for SEO as analyzed in this post, put them into practical actions and sit back to watch how Google will skyrocket your site to the topmost rank. When people link to your blog from authoritative bloggers’ blogs, search engines take that as a signal that you really have quality and engaging content on your site and will begin assigning trust to you. For further details on link building tactics, make sure you read through the blog posts below, digest and apply to start seeing amazing results shortly. I actually think guest blogging will definitely work out so far I could find a site which accepts it. Most sites don’t say mention it. Should I e-mail them? And how can I sound more professional when I am writing this e-mail? Guest blogging really works when it comes to building high quality links and it doesn’t take worries to find a number of top bloggers’ sites to make your guest posts to. Use the tools Ahrefs and Hunter.io to find top bloggers in your respective niche and get their email contact lists right away. You will be leveraging the Hunter.io free tools in particular to find email addresses of niche specific bloggers who are authoritative within the search engines and you will be writing your email scripts in a professional format. Get a professional format for writing guest posts together with other link building tips simply by subscribing through our email subscription form placed on the right sidebar. To get your site off the ground right away, I highly recommend reading through the blog posts below and digesting them. What a great post! So much information on an important aspect of building traffic to a site. I am in the process of creating content and I know that building quality backlinks properly is something that I need to put in place. Thank you once again for all the information! It’s nice to see that you enjoyed reading through the entire post. Link building for SEO is not just an important aspect of building traffic for a site, but the most crucial skill in SEO. It’s unfortunate to know that even several influential bloggers didn’t figure it out about back-linking, but rather focus only on creating quality content and teach a lot of people to do the same. Though creating content will work positively in the long-run if it’s done with engagement at a faster rate, it’s the second factor in the Google’s top three ranking factors while link building is the first in the hierarchy. To maximize back-linking, build high quality links and your blog will skyrocket to the first page rank soonest. When you work the techniques with the right energy, you will start seeing the results soonest and will be highly motivated to keep moving. What is only prohibited about back-linking is the use of link auto-generator software. Using this tool will constitute low quality links and will result in getting slapped by the search engines. While trying to build links for SEO, make sure you get links only from niche specific blogs and Google will assign ranks to you shortly. Get more details on link building for SEO by reading through the blog posts below and digesting every bit. Be ready to put every practical tip into actions and don’t forget to subscribe through our email subscription form placed on the right sidebar to get our latest posts. I think it is great that you told people how long the comments should be. I find that often people write simple, short comments like “great article,” but don’t realize that search engines don’t seem to value those types of irrelevant and brief comments that much. I don’t know if back-linking is as relevant as it once was. Back-linking was seen as the way to get top rankings in Google at one time, but they have improved their algorithms as software was developed to create back-links rapidly. Thanks for asking how long a blog comment should be to make it look valuable to the search engines! I have always noticed how different bloggers leave comments at other people’s blogs and how they reply blog comments on their own blogs. There are ways you should be leaving comments and there are ways you should be replying comments. You should start leveraging blog commenting for generating backlinks by always writing attention grabbing blog comments as analyzed by Ryan Biddulph. Sooner or later, search engines will begin to notice your comments and will start improving your blog in search results. This is one of the most productive ways to build site trust. You just missed something out where you mentioned that Google has improved on its algorithms in the name of developing some kind of link generator software. That’s not true at all. The special algorithm Google has improved on so far focuses mainly on 200 different ranking factors and links are the first to be mentioned in the hierarchy. I really enjoyed reading your article. Thank you for sharing! I had been wondering how to get backlinks and I was searching for sites that would explain in simple terms how to get backlinks. I found this with your article. Some of your back-linking strategies I was aware of and some are new to me. I agree with you that high quality content alone is not enough for high ranking but back-linking plays a very important role. In addition to all the strategies you mentioned, what are your thoughts on backlinks from YouTube? Do they help at all in the rankings? It’s painful to discover that even most influential bloggers had a serious misconception about back-linking and, thus, would mislead thousands of people from taking advantage. Some of them actually claimed that Google penalizes and frowns with you for building links while other bloggers believe that it’s obsolete. Where did they get that from? These are wrong beliefs that lead to slow ranking speeds on the part of many blogs out there. Thanks for reading through my post and finding some new ideas about getting high quality links! From now on, be rest assured to improve on your ranking speed if you work the techniques with the right energy. Content is preceded by links on the hierarchy of Google’s ranking factors and links are the most crucial skill when it comes to SEO techniques. In as much as Google values social engagement so much and to that extent of including it in the hierarchy of its ranking factors, it becomes necessary to start leveraging YouTube for building links and you can get high quality links from this platform too. You only get punished when you generate low quality links. Low quality links include auto-generated links or links generated from niche non-specific blogs. To avoid getting punished, make sure you get links only from niche specific blogs and never make use of any link generator software. Google detects such tools with special algorithms. Genuinely good post that I actually plan on using in the future! Thanks for this! Kind of came at a great time haha. But I do have some questions though. How long does it typically take to actually benefit from a quality back link? Also how often should you blog per week? It’s great to learn adequately before getting started online. What gives room to the common SEO mistakes that many bloggers make these days and why do people keep missing the road to success daily despite this exposure? Forget about getting ranked on time with total focus on content writing alone and have yourself frustrated despite all efforts. In those days, search engines like Alta Vista, Yahoo and others ranked pages based on content alone. When Google came with its special algorithms, everything changed about ranking factors. It placed ranking emphasis rather on how many people visited your pages and where they linked from. Research shows now that link is the most vital skill when it comes to ranking a site and content will serve as an open door to unlimited opportunities. To achieve maximum results, it’s a must to blog daily and you can start benefiting from building high quality links the same moment you get started. Informative article with regard to building back-links for SEO, learned loads here, thanks! I am fairly new to blogging and affiliate marketing. However, I do write regular unique content from which I share each published post via links on the major Social Media channels including engaging with others who share in order to enhance my website’s presence. As I become more experienced, I will look into blog Commenting and Guest Blogging to further increase my trust with the Search Engines. If you are new to blogging and affiliate marketing and wouldn’t want to keep making the same mistakes most bloggers make especially on getting started, learn these practical tips and watch Google and other major search engines skyrocket your site to the very first page rank shortly. 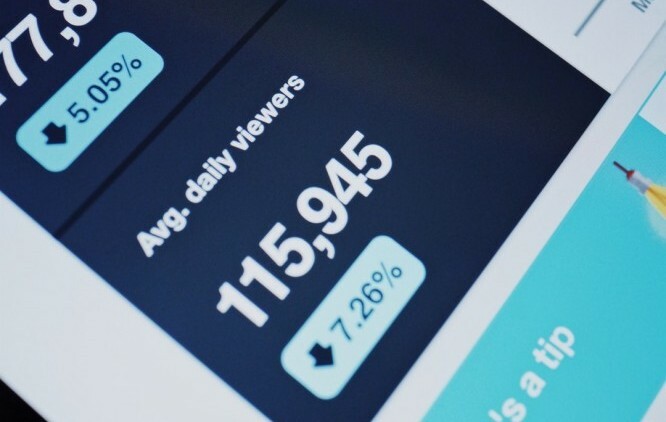 I could see that you have written a lot of content on your site, but do you check your site traffic stats daily to see if you are making progress with your site or not? It’s certain that creating content alone wouldn’t ever get your site off the ground on time neither will it assign high rankings to your site, but building high quality links. If you need more practical tips like the ones you just read in this post, don’t hesitate leaving a comment below and I will be more than happy to reply you as soon as possible. To ensure that you get our latest posts from time to time, kindly subscribe through our email subscription form on the right sidebar and you will be updated with our latest posts. This is a great post. I could remember a time when I created a site and I was writing so much content that I wasn’t sure if that was going to get me ranked or not. This is good information. I made the same mistakes when I started out with blogging too creating 1500-2000 words content without relenting daily, but began to get baffled each time I checked my traffic stats and it remained all zero always. I then decided to be on the lookout for the right ways to get ranked on time. I discovered that content alone cannot do the SEO accomplishment jobs, but has to be done together with link building. One important thing I have to say about building links is that it must be done naturally, not with the use of automated back-linking tools. Using such tools can be so frustrating eventually and that’s even why many influential bloggers are afraid of building links. Follow every tip in this post and you wouldn’t ever face Google penalty for abuse of terms of service. Subscribe through our email subscription form on the right sidebar to receive SEO tips in details and kindly share this post with friends and groups on Social Media using the social media buttons below. Brilliant post! There are indeed too many people who think that a 100 post blog will do the job and wouldn’t even consider backlinks. After reading this, people will see not just why backlinking is important, but how to do it as well. Out of interest what are your thoughts in programs like seonuke which supposedly automate link building? Thanks for reading through this post and for your comment as well! I have equally read about bloggers who don’t build links at all while developing their sites. They rather instruct you to focus all attentions on content writing alone which retards the ranking speed of your site or blog eventually. Unfortunately, they do believe you’re going to be penalized by Google for building backlinks. The truth about building links for SEO and building out your site with content is that link is the greatest of the Google’s ranking factors while content follows. Thus, you can be punished with content writing the same way you are with link building if you violate terms of service. Automated back-linking tools can seriously jeopardize your site because it’s highly prohibited by Google and other major search engines. This is how you can get penalized while building links. So, you do the job naturally, not by using automated tools at all. Following the tips in this post will help you a lot in building links and getting your site off the ground. If you want to start building links for SEO and wouldn’t ever want to get penalized by Google, don’t hesitate leaving a comment below and make sure you subscribe through our email subscription form on the right sidebar.